N.E.W. Leadership is a five day-intensive, non partisan institute sponsored by the Carl Albert Center’s Women’s Leadership Initiative. N.E.W. 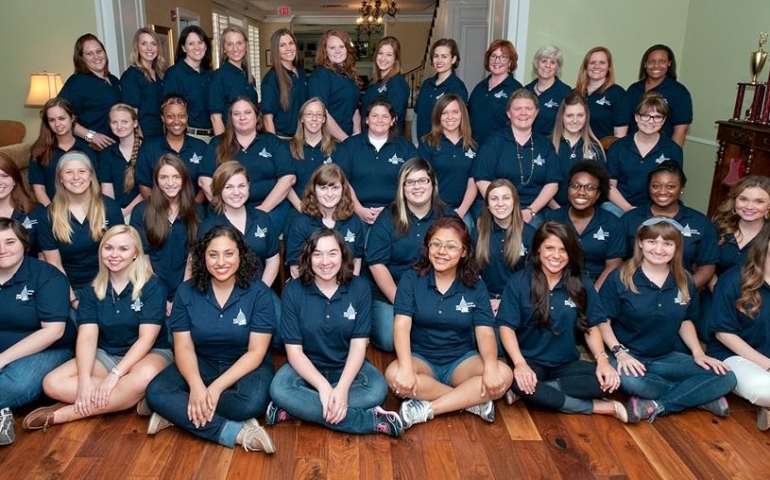 Leadership emphasizes women’s leadership and civic engagement as the premiere residential program providing undergraduate college women with the knowledge and skills to become effective leaders in public service and elective office. Participants will engage in group and panel discussions, campaign simulations, and action projects for interactive learning and leadership about current issues facing women. This year the program will take place May 15-19, 2015 in Norman, Oklahoma. The program annually selects 30-35 outstanding undergraduate women throughout the state of Oklahoma, so it is a very competitive program. So, basically, for five days, you will be among Oklahoma’s top women leaders and collegiate leaders across the state of Oklahoma. N.E.W. Leadership is completely supported by foundations, corporations and individual donors; so, there is no cost for participants. N.E.W. Leadership participants benefit from both educational and career aspects. Oklahoma’s top civic women leaders visit the institute to speak and network with the program participants. Past faculty include: Governor Mary Fallin, former Lieutenant Governor Jari Askins, Supreme Court Justices Yvonne Kauger and Noma Gurich, Tribal leaders like Judy Allen (Choctaw), Cara Cowea Watts (Cherokee), Judy Goforth Parker (Chickasaw) and many more. The institute accepts and welcomes students of all academic backgrounds; you don’t have to be a political science major to apply. The institute considers undergraduate women of all ages and backgrounds. The only qualification is that you have to be a rising freshman up to a graduating senior at an Oklahoma college or university. Also, if you have friends that are Oklahomans but go to school out of state, they are also eligible to apply. If you are interested in applying, visit www.ou.edu/wli to find the institute’s application. Your application and letters of recommendation must be submitted to the Carl Albert Center NO LATER THAN March 13, 2015. Any applications submitted after the deadline will not be considered. Contact Grace Williams at grwillia@snu.edu for more information about the program or application. N.E.W. Leadership selects the “cream of the crop” from Oklahoma’s colleges and universities. Many alumnae have received internships, jobs and other opportunities because of the amount of networking involved with the program.